Australian metal 3D printer manufacturer Aurora Labs has agreed to develop designs, specifications and parameters for the 3D printing of titanium medical implants. Developed under partnership with the University of Western Australia (UWA) and Royal Perth Hospital (RPH), the parameters will come in the form of an instructional guide for using an Aurora Labs 3D printer to manufacture medical implants. Aurora Labs signed a binding term sheet with UWA and RPH as part of the industry-led partnership. Under these terms, each party will supply appliances, goods, personnel and other resources to the project. In addition, the three entities will make an application to the Australian Trade and Investment Commission (Austrade) for an Innovation Connections grant of approx. AU$26,000 to help with funding. “This is an exciting collaboration and we are extremely pleased to be working with UWA and RPH, two leading entities in Australia,” commented David Budge, Managing Director of Aurora Labs. As part of the project to develop medical devices, Aurora Labs will be supplying UWA and RPH with one S-Titanium Pro metal 3D printer, and metallic consumable powders to be used with the machine. The company will also give UWA and RPH access to its maintenance and training staff on an ‘as needs’ basis. UWA’s role will be assessing materials in order to determine the best size and distribution for consistent printing results. Furthermore, the university will be dedicating researcher to the project, who will be in charge of optimizing the characteristics of medical implants to promote tissue growth. And finally, RPH will be issuing designs of craniology plates to be 3D printed, and consulting on the application of these devices to skull surgery. “The diversified use of titanium across a range of industries is well known, but in the medical field titanium is the most compatible metal with the human body,” adds Budge. Rhombus ball printed with the S-Titanium Pro. Screengrab via Aurora Labs. Aurora’s S-Titanium Pro, the 3D printer provided to the project, is a combination of Direct Metal Laser Sintering (DMLS) and Direct Metal Laser Melting (DMLM) machine. The 3D printer features an open source approach to materials, allowing clients to use metal powders from third parties, a feature that helped to boost sales of the S-Titanium Pro for Q1 FY2019. The metal 3D printing manufacturer also recently announced that it had closed a AU$5 million (US$3.5 million) share placement round. This latest funding will be used to further develop LFT Rapid Manufacturing Technology (RMT). 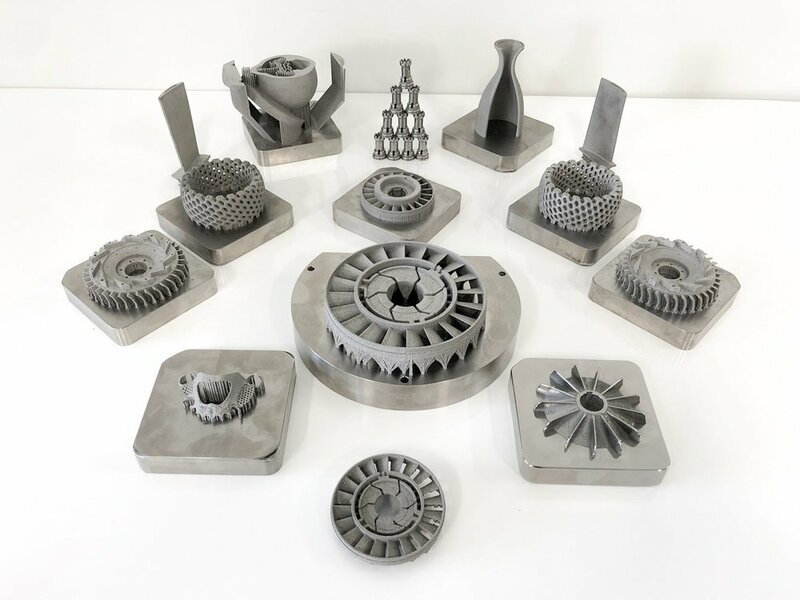 RMT technology is a metal additive manufacturing process that uses Aurora Labs’ Multi Concurrent Printing (MCP), which melts and fuses layers of powder to form 3D models. Aurora Labs has shared news that tests of its RMT process have achieved print speeds of 113 kg per day. MCP within RMT in the Alpha 3D printer. Clip via Aurora Labs. It’s you final chance to make nominations for the 2019 3D Printing Industry Awards. Let us know which enterprises, technologies, and individuals are leading the additive manufacturing sector. Want the latest 3D printing news? Subscribe to the 3D Printing Industry newsletter, follow us on Twitterand like us on Facebook. Featured image shows rhombus ball printed with the S-Titanium Pro. Screengrab via Aurora Labs.